However, you build your favorite sandwich, you’ll definitely want to take a bite out of these deals on Saturday, November 3. The offers are available at participating locations, while supplies last. 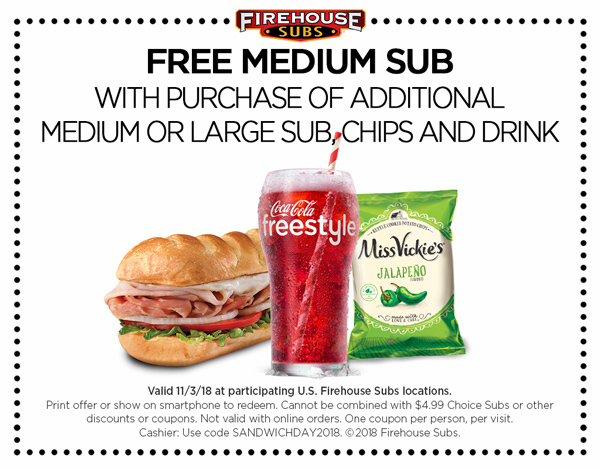 Enjoy FREE medium sub with the purchase of additional medium (or large) sub, chips and drink — coupon required. Grab FREE sandwich or salad with the purchase of kids meal — for Potbelly Perks members only via its app. Buy a Footlong or 6″ sub, as well as a 30-oz. fountain drink, and get a second sub (of equal or lesser value) for FREE. Get any 8″ sub for just $5 — coupon required. If you’d like to keep up with the latest deals, discounts and free & cheap events happening around Charm City, be sure to sign up for the Baltimore on the Cheap Newsletter. You can also follow us on Facebook and on Twitter.